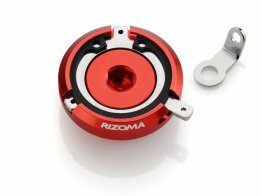 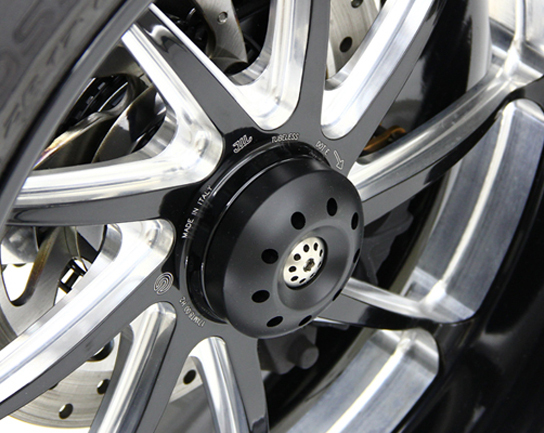 This amazing rear axle slider is designed by MotoCorse. 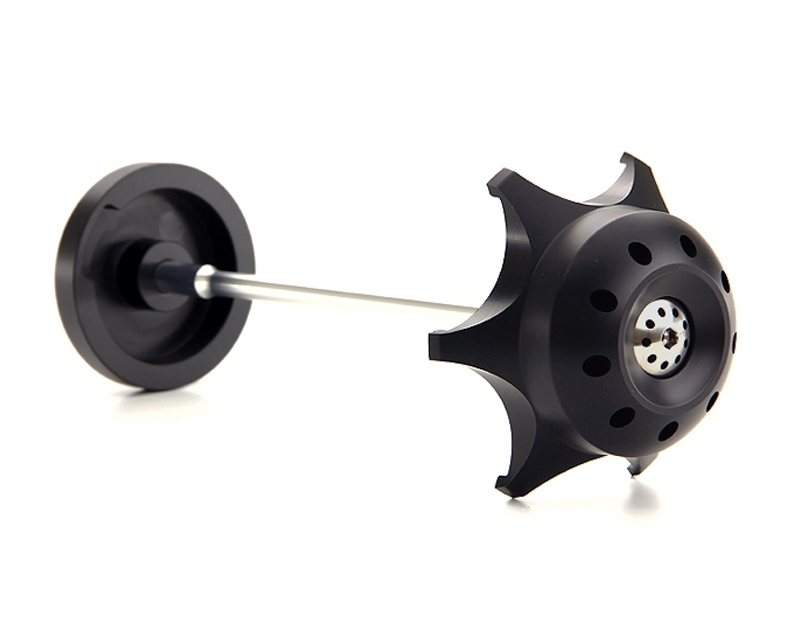 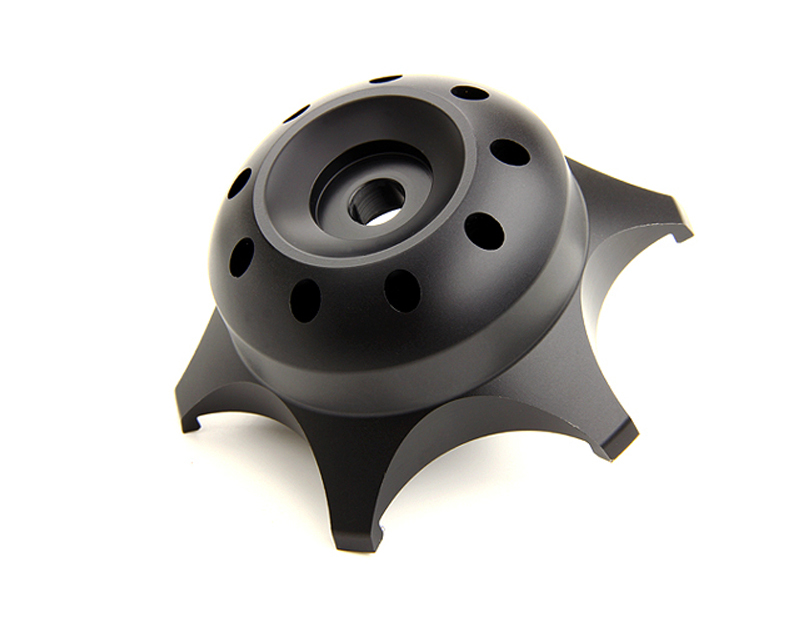 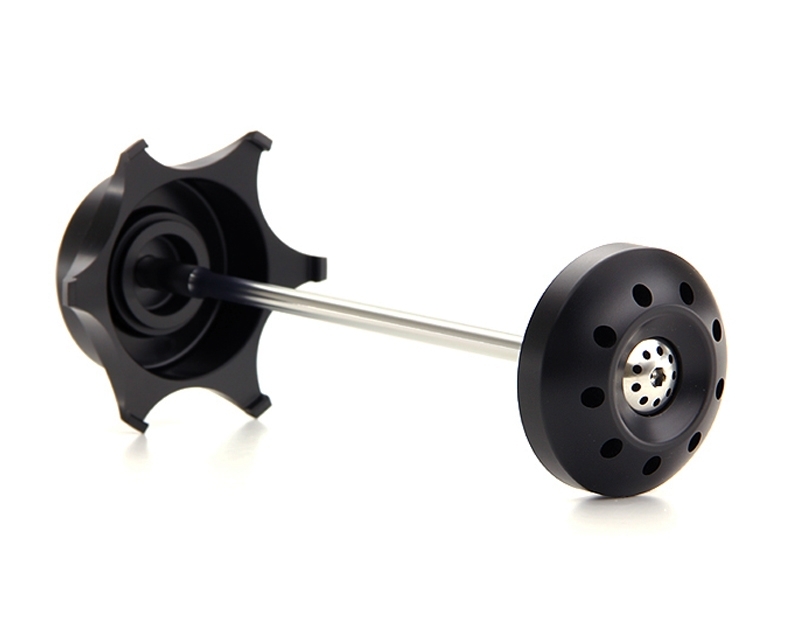 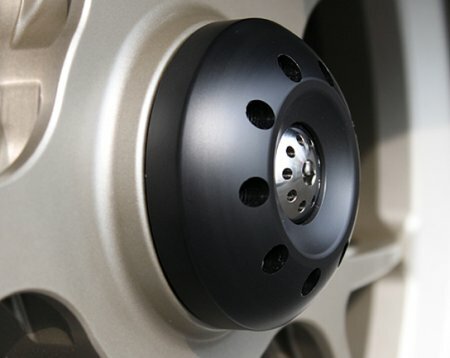 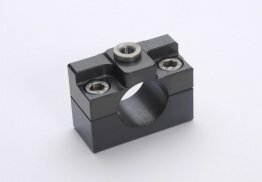 The rear axle slider portion is created by accurate CNC machining from blocks of Delrin, a plastic material with excellent dimensional stability, high mechanical strength and hardness. 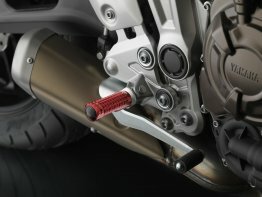 The sliders are held in place by a pin / aluminum tie rod and two titanium screws. 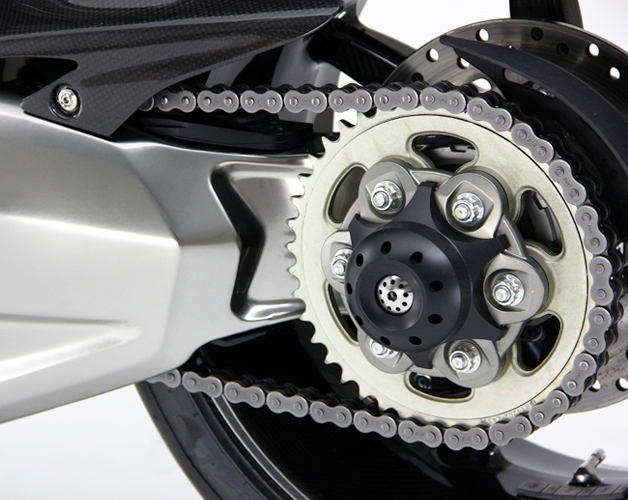 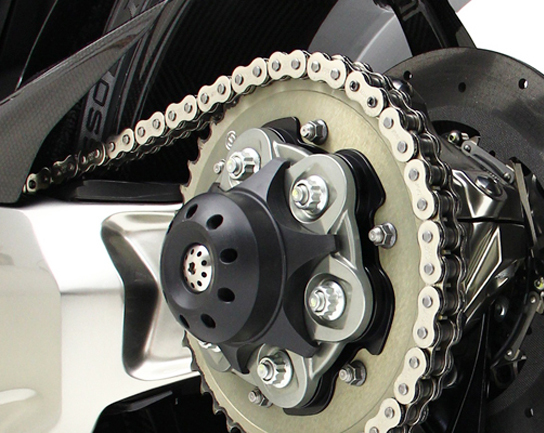 The slider style "DVC" is characterized by a more elaborate design that 'wraps' around the sprocket carrier and a conventional Delrin puck on the right side.